This PENTAX-exclusive coating provides outstanding repellent performance against water and grease. Applied to the front surface of the first lens element, it does not only protect the lens from dust, water and grease, but also makes it easier to wipe these substances off the lens surface. It is also highly resistant to abrasion and scratch, helping to keep the lens in prime condition. 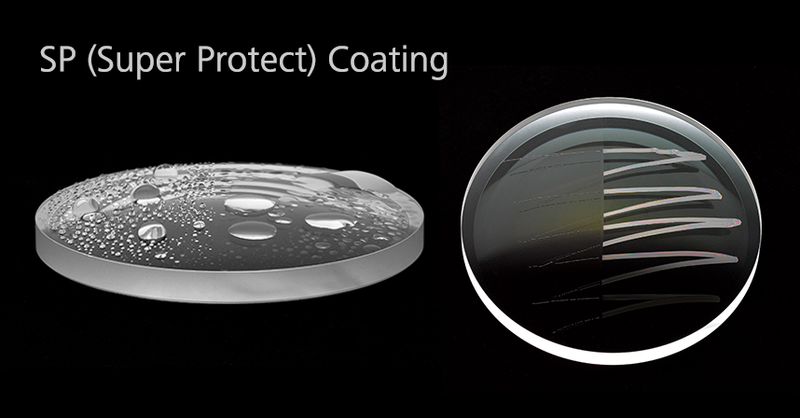 Applied to many PENTAX lenses, this coating has proven to be extremely effective in protecting the lens surface. PENTAX treats the front surface of the first optical element of many lenses with SP Coating, a high-strength fluorine coating which effectively protects the lens. Highly repellent to water and grease, it not only prevents adhesion of dust, water drops and oils, but also makes it easy to wipe off such objects from the lens surface. Posted in PENTAX Lens Technology, PENTAX Technology.